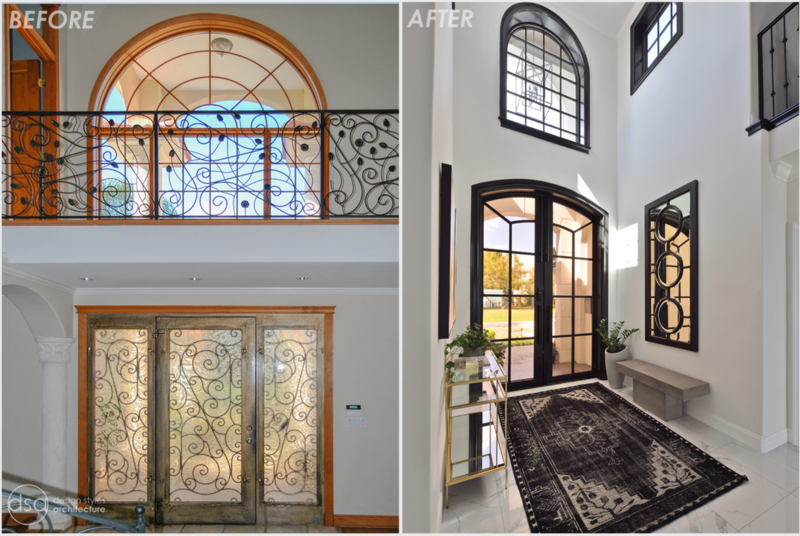 The Design Styles Architecture team beautifully remodeled the exterior and interior of this Carolina Circle home. 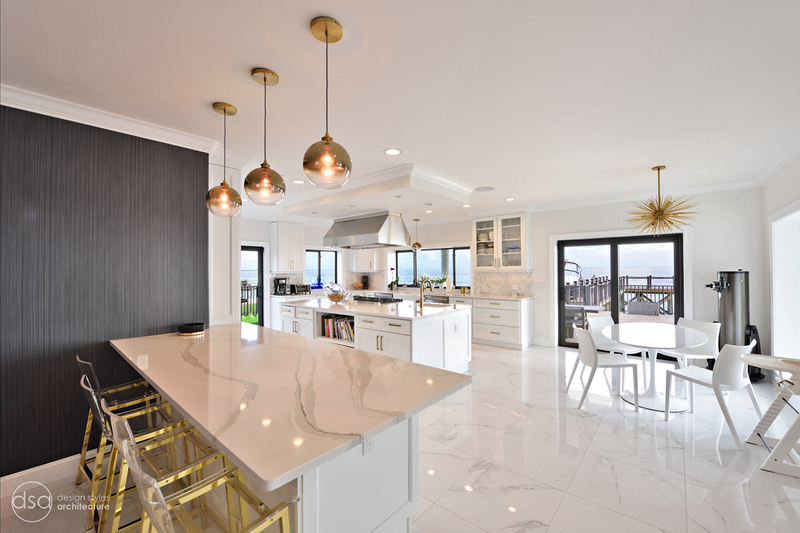 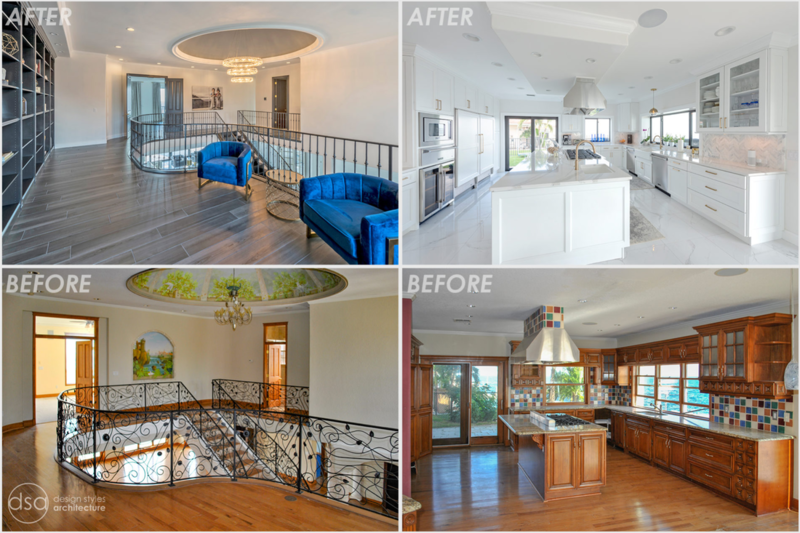 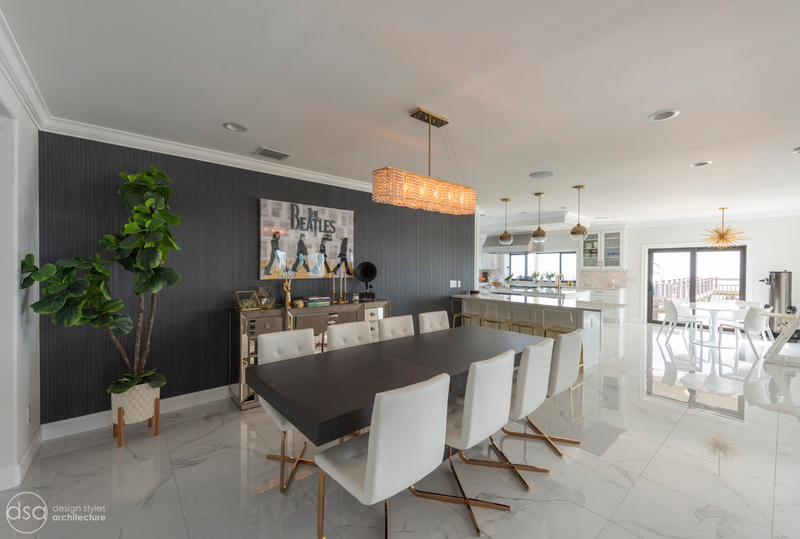 The home was originally built in 1973 and was 5,860 SF, the remodel added 1,000 SF to the total under air square-footage. 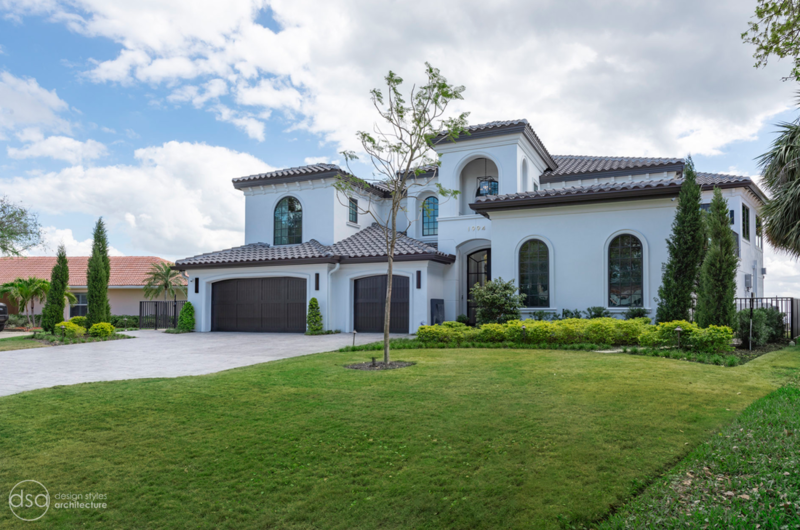 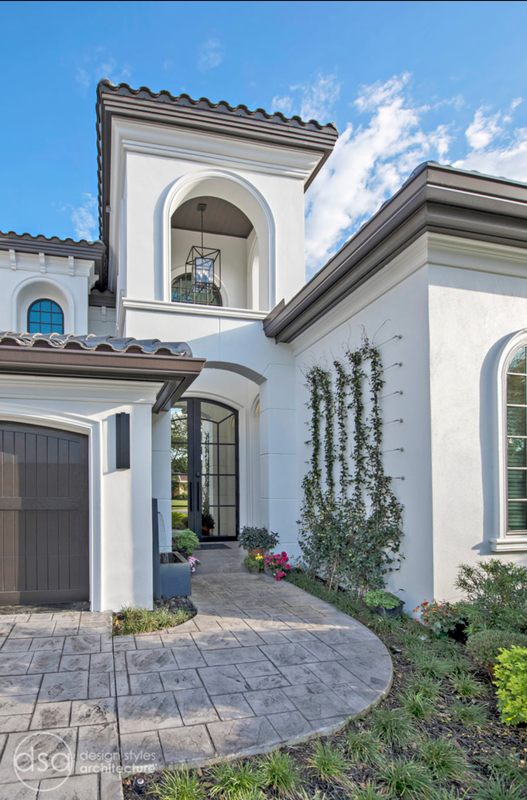 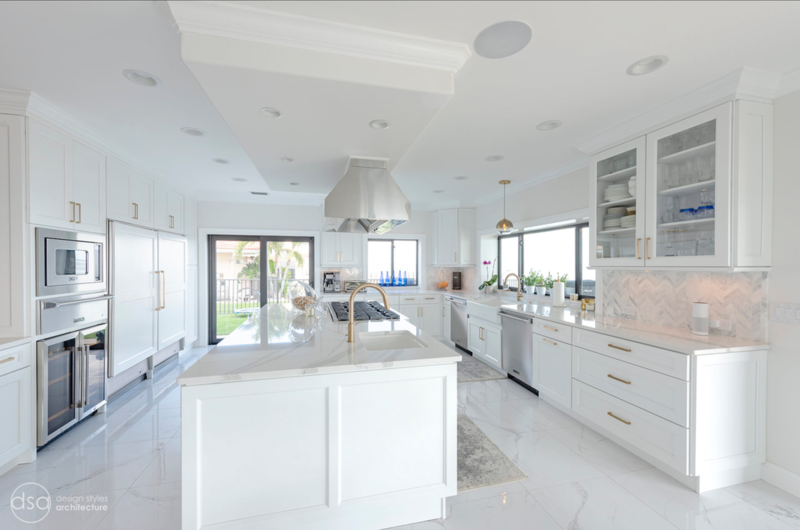 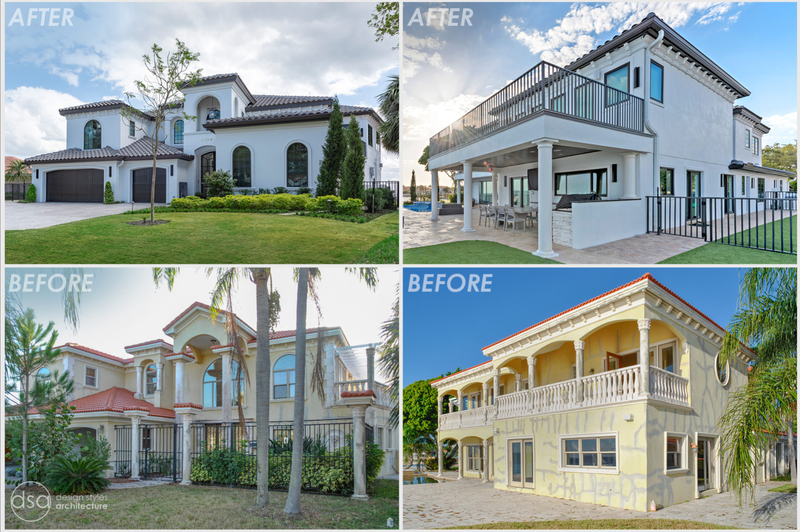 The exterior of the home was revamped to take your typical Mediterranean house with yellow exterior paint and red Spanish style roof and update it to a sleek exterior with gray roof, dark brown trim, and light cream walls. 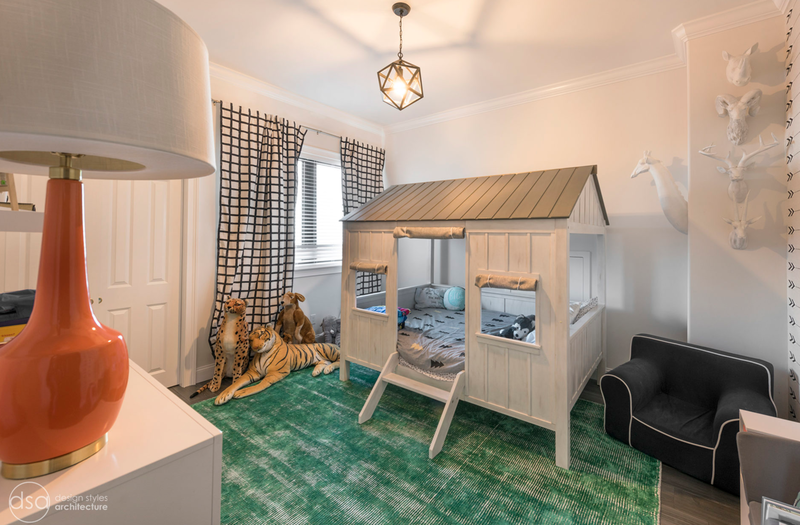 Additions were done to the home to provide more square footage under roof and more room for entertaining. 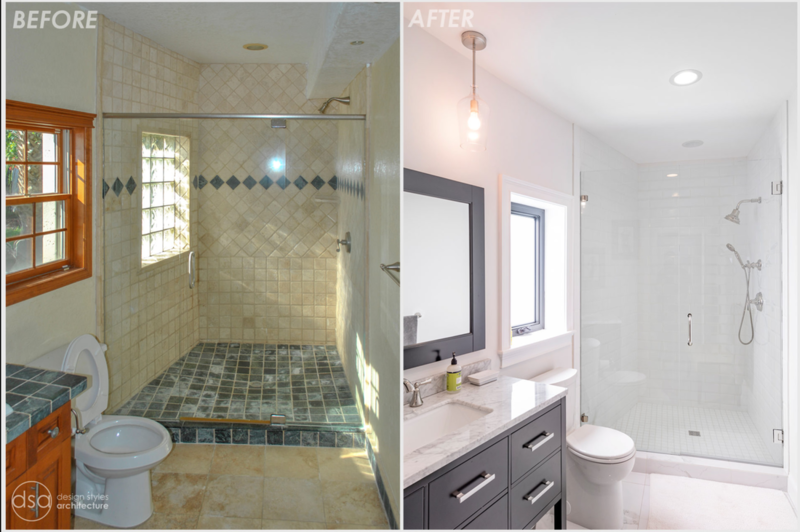 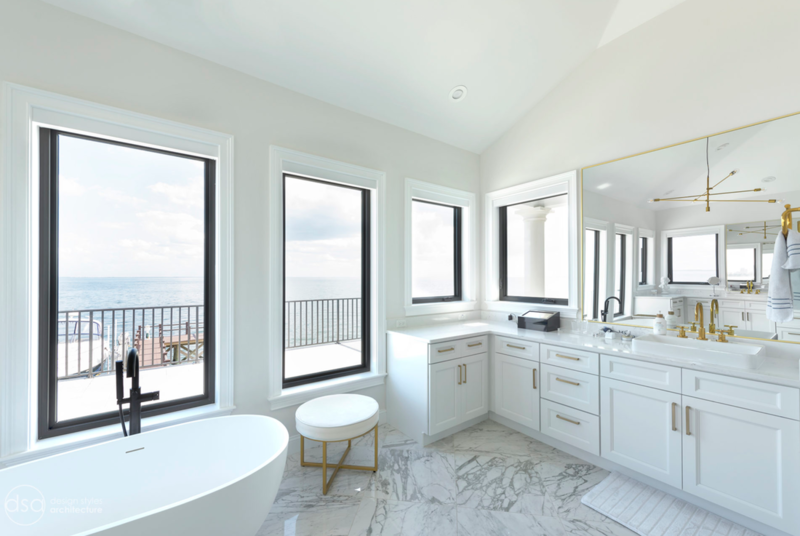 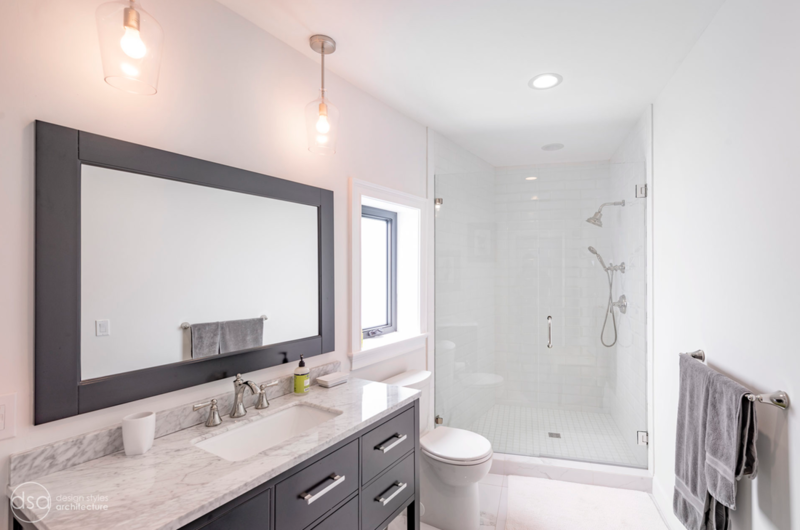 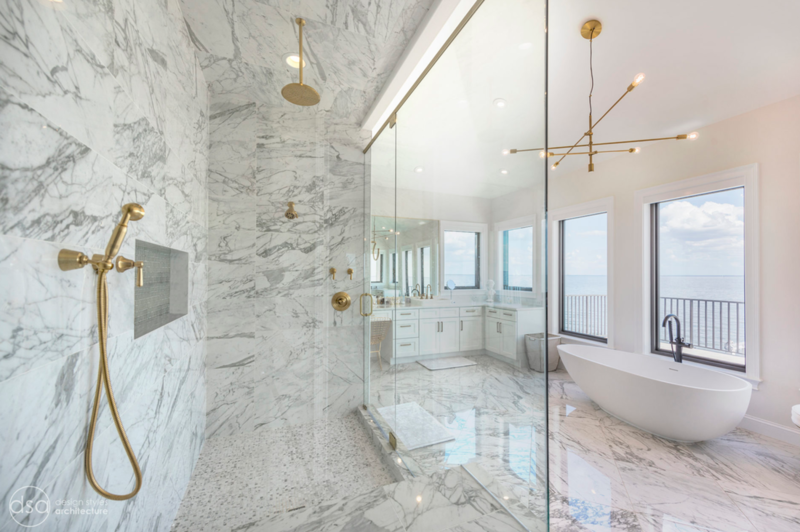 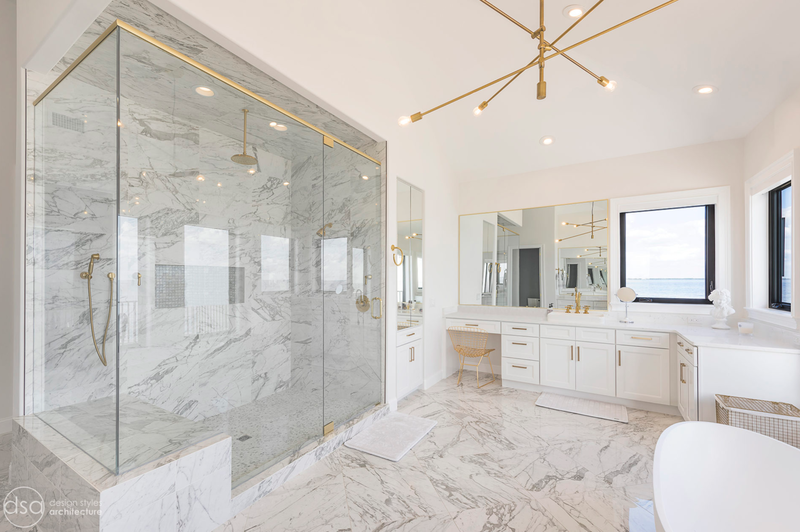 The master bathroom was pushed out several feet to create a spacious marbled master en-suite with walk in shower, standing tub, walk in closets, and vanity spaces. 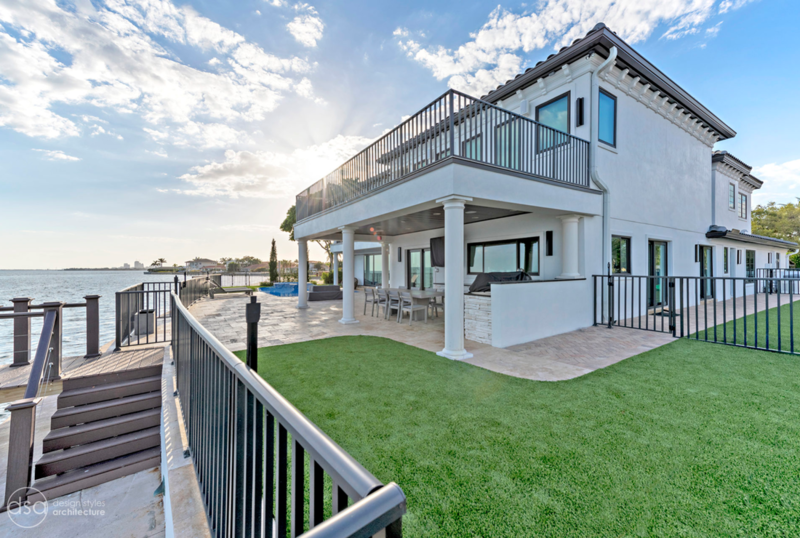 A balcony was created to extend off of the second story of the home, creating a covered lanai and outdoor kitchen on the first floor. 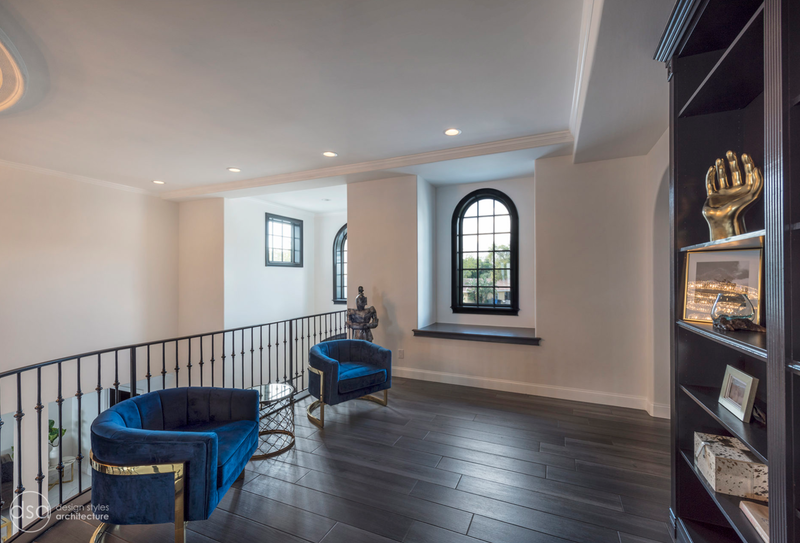 Ornamental columns and wrought iron details inside the home were removed or updated to create a clean and sophisticated interior. 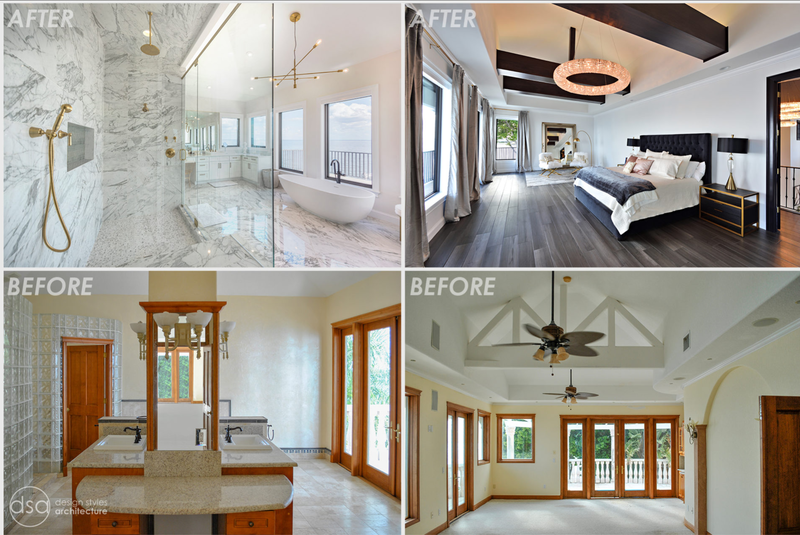 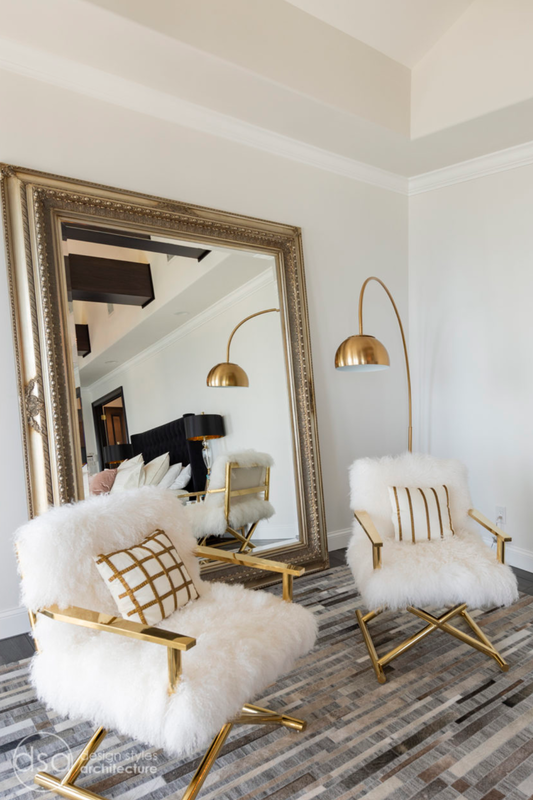 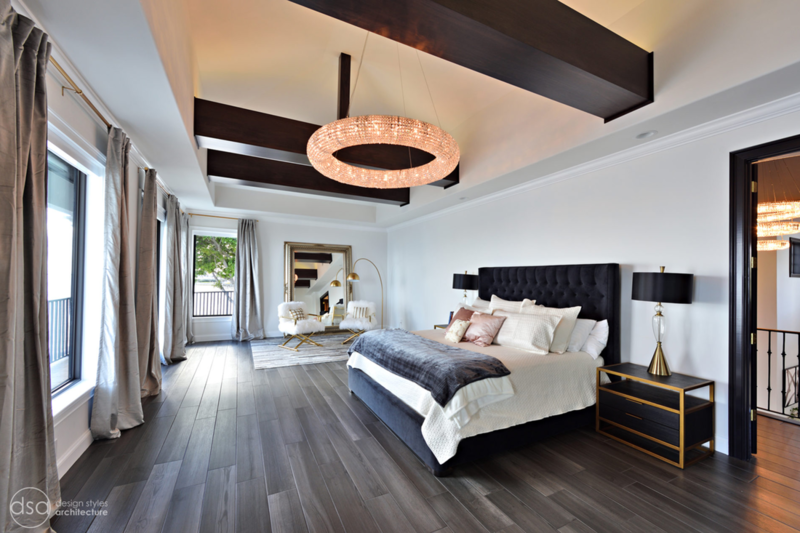 The master bedroom took the existing beam support for the ceiling and reworked it to create a visually stunning ceiling feature complete with up-lighting and hanging chandelier creating a warm glow and ambiance to the space. 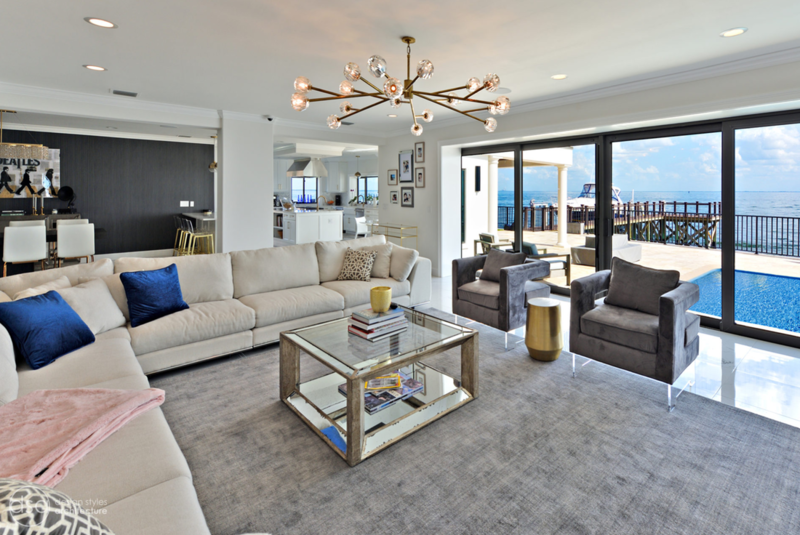 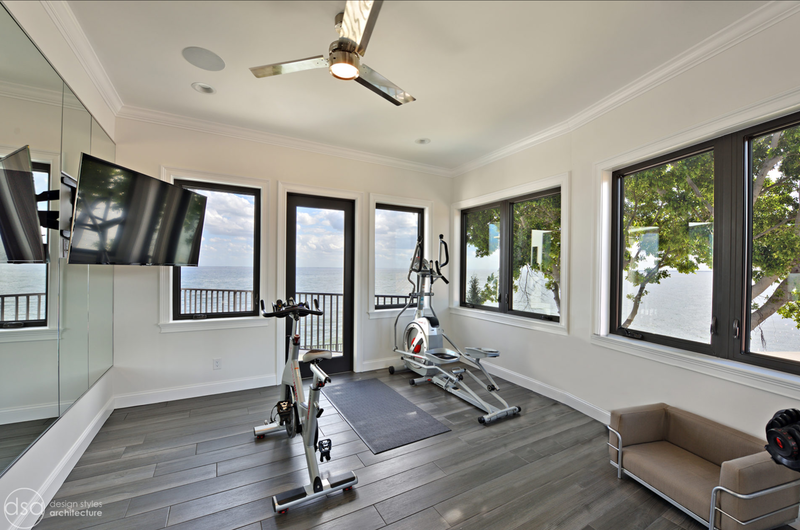 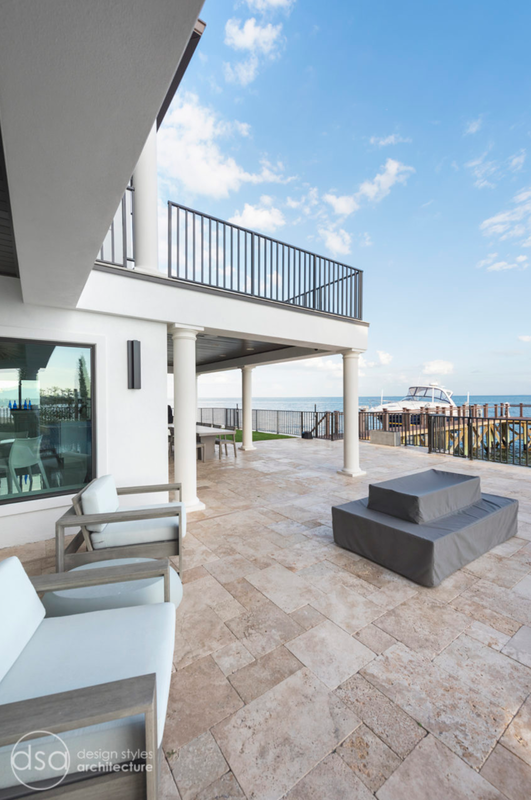 An existing second story outdoor balcony was converted and tied in to the under air square footage of the home, and is now used as a workout room that overlooks the ocean. 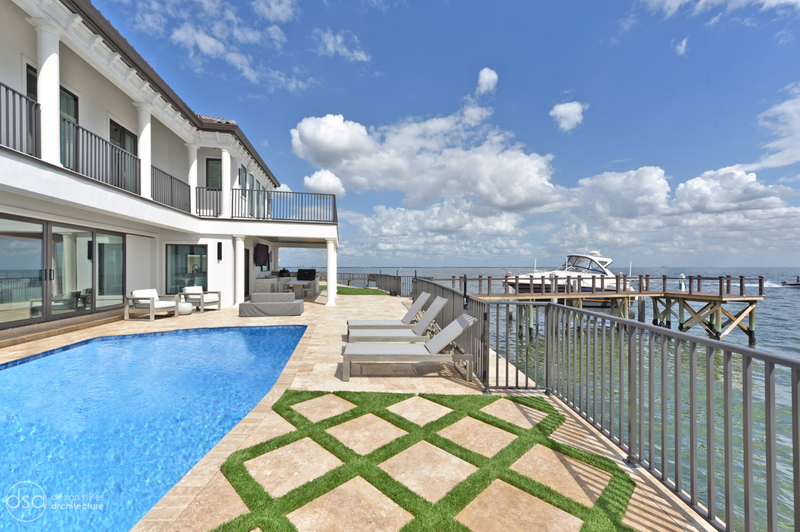 The existing pool and outdoor area completely updated and now features a dock, a boat lift, fire features and outdoor dining/ kitchen.